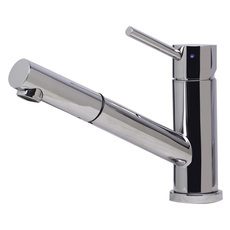 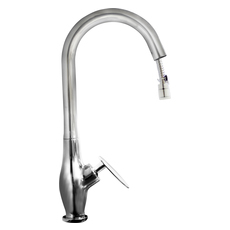 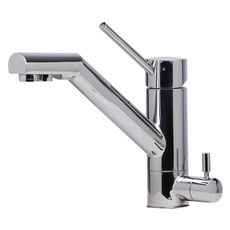 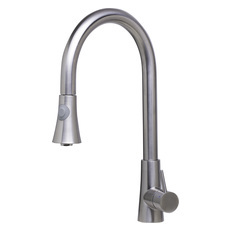 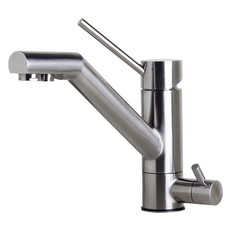 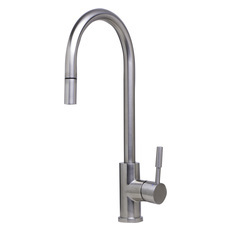 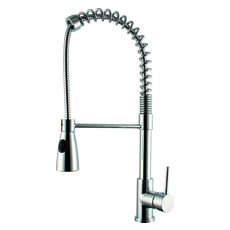 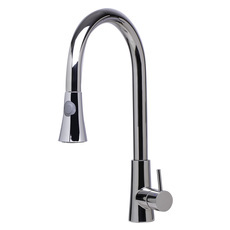 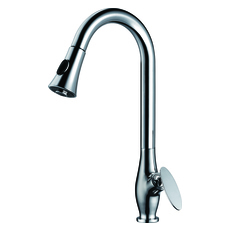 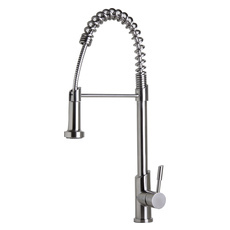 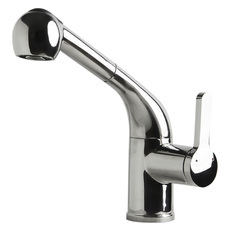 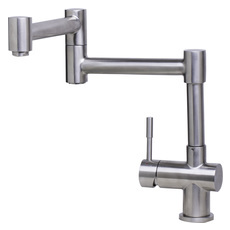 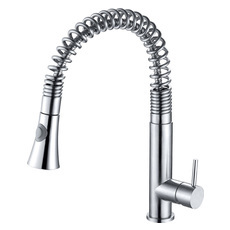 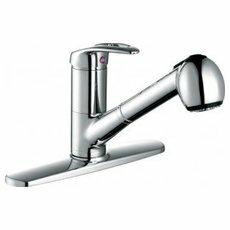 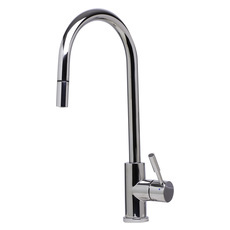 Kitchen faucets are about as varied as the meals cooked in kitchens worldwide. 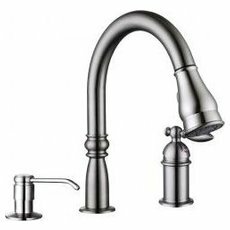 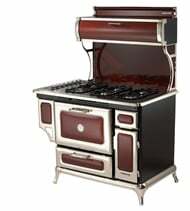 It’s easiest to shop for a kitchen sink and faucet at the same time, so you are sure to purchase complementary fixtures, both in terms of style and, even more importantly, functionality. 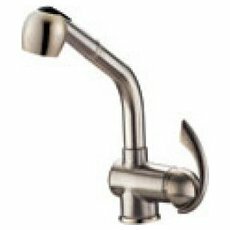 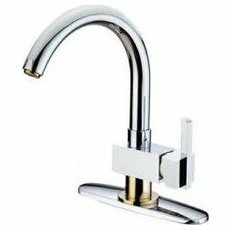 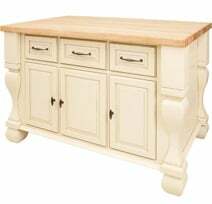 Sinks often come pre-drilled for specific faucets – one handle, two handle, with wide pullout spray, with soap dispenser, etc. 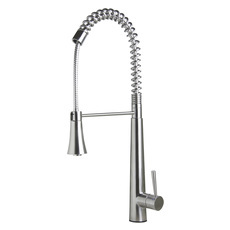 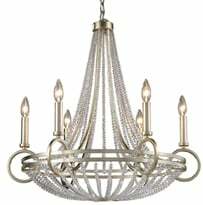 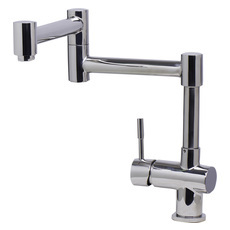 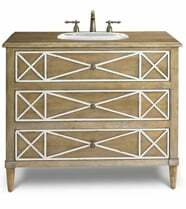 – and it’s hard to make adjustments if your faucet set doesn’t match what the sink has. 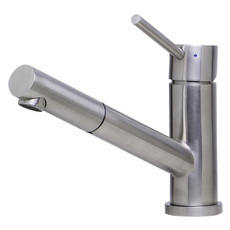  It might also help to make a list, before you shop for faucets, of the feature you want your kitchen faucet to have: do you want a pullout spray? 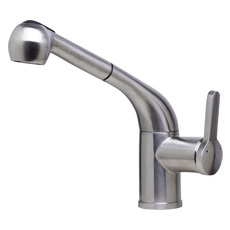 Will children be using the faucet, for whom it might be easier to regulate temperature with a one handle faucet? 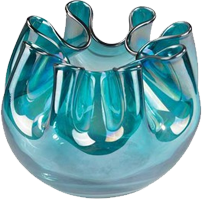 Do you have a style in mind? 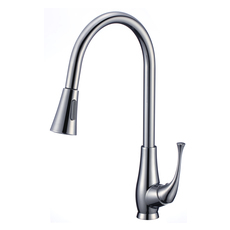 Having answers to some of these questions before you begin shopping will make your search for a kitchen faucet easier.